I throw around 'blow your mind,' but I mean it this time! As you know because you've definitely already seen The Last Jedi (but if you haven't, there are no spoilers in this post!) (but go see it immediately! 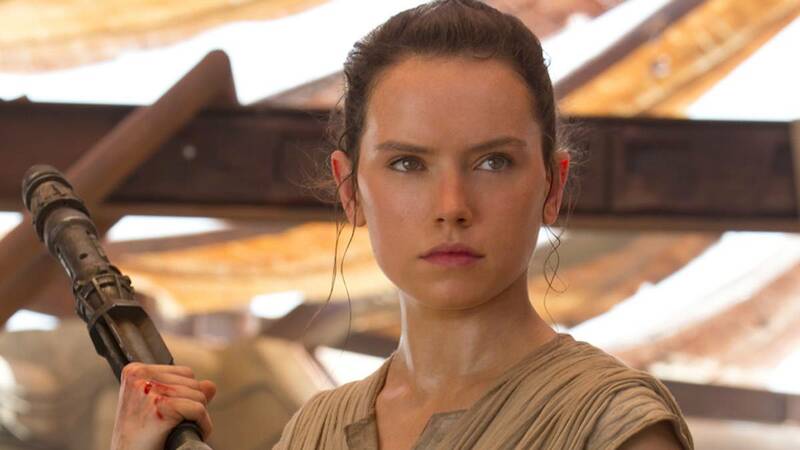 ), Daisy Ridley stars as Rey, the badass scavenger from Jakku with massive Jedi skills. Well, footage of the actress auditioning for the iconic role has surfaced, and it's... well, it's moving and powerful and perfect. Daisy was obviously born to play Rey. In a clip on Buzzfeed, director J.J. Abrams talks about casting the role of Rey. "What we were looking for was someone new, " he says. "This character needed to be vulnerable and tough, sweet and terrified. And to find someone that no one knew who could do all these things took a lot of looking." He continued: "[Daisy Ridley] just blew my mind. She's reaching this depth of struggle, and tears are streaming down her face. I thought, 'This is unbelievable.'"